Fishkill Correctional Facility, a medium security prison in the Hudson Valley about 90 minutes north of New York City, is home to a unique though perhaps prescient housing program - the 30-bed Unit for the Cognitively Impaired, established to meet the needs of people who are incarcerated in New York State while managing dementia, Alzheimer's disease and similar end-of-life experiences. 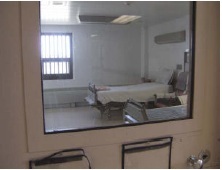 A similar housing program exists in California, and the issue has become central for Corrections leaders nationwide: what to do with a rapidly growing elderly prison population housed in facilities designed for the young and able-bodied and governed by policies that fundamentally conflict with human and constitutional rights when employed in the context of the elderly. Due in large part to the harsh sentencing laws of the past half-century - mandatory minimums, three-strike laws, the expansion of life without parole - senior citizens make up one of the fastest rising prison demographics. In state and federal prisons combined, there are more than 246,000 people aged 50 and above; 26,000 people over 65. Between 1995 and 2010 this population grew by 282 percent and now comprises roughly 10 percent of various state and federal systems. In New York State alone there are 4,000 people aged 55 and above incarcerated, the vast majority of whom entered prison much younger. One in six people incarcerated in the state are serving a life sentence. According to Human Rights Watch, about a third of incarcerated people in New York State aged 60-plus have already served more than 20 years behind bars. This number is unlikely to budge anytime soon. While grassroots mobilizations have forced Governor Andrew Cuomo into rhetorical nuance on the topic, he appears unwilling to put up the resources - financial, personnel and political - that would be required to really make a dent in the elderly prison population. At the end of 2015, after significant public pressure, Cuomo, for the first time, released through clemency a senior citizen from prison. Seventy-year-old Lydia Ortiz, was serving a 20-25-year sentence for drug possession. According to the Cuomo administration she had an "excellent prison disciplinary history" and is "unable to walk without assistance." At the same time, Cuomo also launched a program to provide free legal assistance to clemency applicants. According to the administration, they've involved the New York State Bar Association, the New York County Lawyers Association, the New York City Bar Association, the Legal Aid Society of New York, the New York State Association of Criminal Defense Attorneys and several white-shoe law firms in the project. So far that program has not yielded a single release. A Cuomo spokesman told me this week that the administration has produced a webinar on completing clemency petitions that has been shared with pro bono attorneys and that incarcerated people around the state have continued to send in applications for review. The state also has a website through which incarcerated people can apply for clemency on-line though few have access to the Internet. 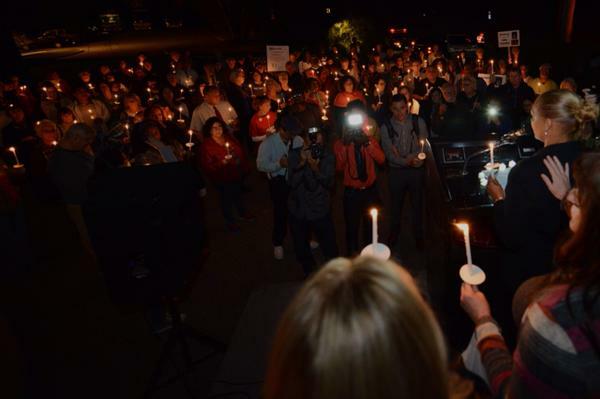 Allen Roskoff, who runs the advocacy group Candles for Clemency, described the Governor's program as welcomed, but overly burdened by bureaucracy. Sara Bennett, an attorney who has worked on three clemency applications over the past 17 years in New York State, explained that each petition takes several months to put together and that the administration may need to tap thousands of pro bono attorneys in order to make a significant difference in the population. "I think there was a good intention behind it, but they might be overwhelmed by what it will really take," Bennett said of the Governor's executive clemency project. "What's there doesn't seem to be funded and if he has the will do it, he can do this himself," Roskoff said. "There are so many people who obviously don't belong in prison and it comes down to does he have the will to do what's right. The ball's in his court." Overall, there are approximately 2.3 million people incarcerated in federal and state prisons and jails. Every year an additional 444,000 people land in immigration detention. When polled, public support is overwhelmingly in favor of reducing these populations. But the issue of aging remains outside the mainstream conversation. "People just aren't aware that there's this large aging population, people sentenced to 25 years to life who 40 years later are still in prison," says Victor Pate, an organizer with the Release Aging People in Prison (RAPP) Campaign. "They might be blind, in a wheelchair, on dialysis, have a Master's Degree - when are you going to let them out?" According to Human Rights Watch, this elderly demographic has unique needs, although, of course, age alone is not indicative of disability. "Life in prison can challenge anyone, but it can be particularly hard for people whose bodies and minds are being whittled away by age. 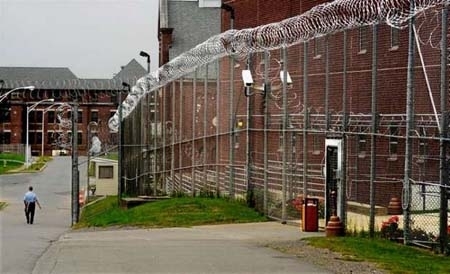 Prisons in the United States contain an ever growing number of aging men and women who cannot readily climb stairs, haul themselves to the top bunk, or walk long distances to meals or the pill line; whose old bones suffer from thin mattresses and winter's cold; who need wheelchairs, walkers, canes, portable oxygen, and hearing aids; who cannot get dressed, go to the bathroom, or bathe without help; and who are incontinent, forgetful, suffering chronic illnesses, extremely ill, and dying." There are other practical issues. Should people with dementia be placed in lockdown when they misbehave if they won't remember the incident five minutes later? Some people might need more time than is commonly allotted for meals, showers and recreation due to hampered mobility. Eighty-two percent of incarcerated men over the age of 65 have a chronic health problem. While units like UCI at Fishkill may be necessary for now, the people housed there just shouldn't be in prison, according to many advocates. "Think about what you are saying. Putting a nursing home in a prison? It's absurd," says Evie Litwok, director of the advocacy group, Witness to Mass Incarceration. The International Covenant on Civil and Political Rights (1966) insists that all incarcerated people have a right to be treated with respect and human dignity, have reasonable accommodations for disabilities and programming to support rehabilitation. Many prisons simply cannot comply with these requirements for elderly residents, some of whom might have already completed every possible rehabilitation program available to them. Federal clemency efforts have run into some snags, with a back-log at the Department of Justice 9,000 petitions deep despite 570 law firms and 30 law schools pitching in on the effort. Obama, however, only holds sway over the Federal system, and thus can be of little comfort to those languishing for decades in state facilities, such as those in New York. Cuomo, who lives just an hour from Fishkill in the tony suburb of Mount Kisco, NY, ranks among the most miserly of all state leaders with regards to clemency. "I've been with him in his office on this issue, and I've asked him every holiday season to use his clemency powers to give people a break," said Tony Papa, of the Drug Policy Alliance and himself a recipient of clemency under George Pataki in 1997. "He just won't do it. There are a lot of people stuck in there." According to Pate, and others, a major hurdle in New York State is the parole board, which has become notoriously stingy with release recommendations and over which Cuomo also exerts some control. P.S. Ruckman, editor of the blog Pardon Power, says he views Cuomo is part of a national trend of state executives using their power to grant clemency less and less. Starting in the 1960s, the law and order campaign rhetoric of Richard Nixon and others drove politics and public sentiment towards retribution, Ruckman says. "In the aftermath of prohibition, presidents set records for pardons for people who broke prohibition laws, but times have changed," Ruckman said. "After Lyndon Johnson in the 1960s, they've sort of fallen off all across the map. There are exceptions of course, like Arkansas where governors have granted pardons consistently all along." Some people point to Willie Horton as a reason for the recent skittishness, and executives are generally erring on the side of caution and doing nothing, he said. (Horton, of course, was not even a clemency case.) Generally speaking, most pardons from presidents or governors are employed only after a person has been out of prison for several years. "It's a crude, political calculus," Ruckman said. Even in this context, however, Cuomo remains, historically, among the least likely to use these powers, having granted just nine pardons over his two terms; four of which came at the end of 2015. For example, Gov. David Patterson pardoned 35 people in his last year of office alone. Gov. George Pataki commuted 33 sentences; the elder Cuomo 37; and Hugh Carey 155 over two terms. The financial price of this is significant. "It costs the state anywhere between $35,000 and $55, 000 per adult to incarcerate them, but when you add the costs of the person aging, it can go up to $115,000, $120,000 per person every year," according to Pate. "It's draining on the economy; it's just a waste. How is that good for the taxpayers?" Although many people aging in prison were convicted of violent crimes, senior citizens represent, statistically, the group of people least likely to recidivate. Public safety does not require them to be behind bars; in New York State, between 2000 and 2006, about 5 percent of people 55 and older who were released were rearrested within three years, the vast majority for technical violations of their parole (like failing a drug test, missing curfew or failing to report an address change) rather than the commission of other crimes. 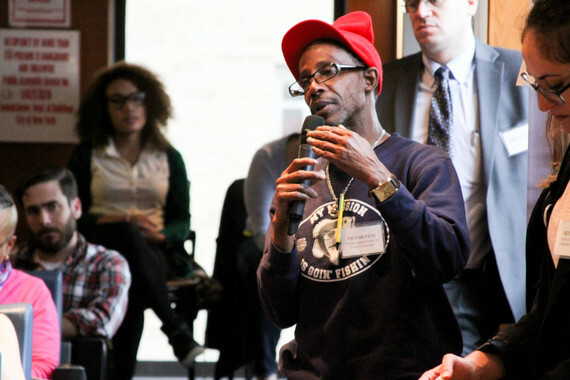 Some advocates praised Cuomo's year-end-2015 programs - which also included a move to clear up, through pardons, criminal records of people convicted of some non-violent crimes as teenagers - as signaling a fundamental policy shift from the governor, but others were less impressed, describing the changes as more public relations than a true change of heart by the Governor. 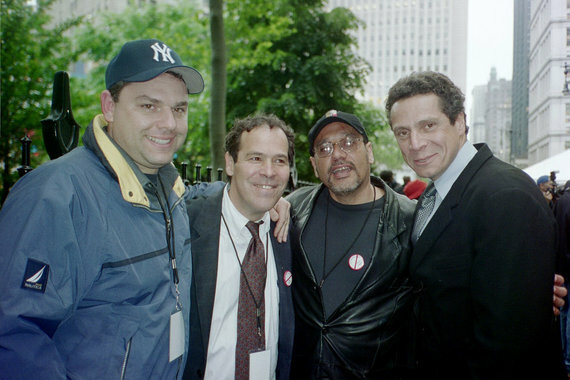 "[Cuomo] doesn't have any feelings at all," said Randy Credico, a long-time criminal justice reform activist and former gubernatorial candidate. "Everything is calculating; if he doesn't think it will help his career, he won't do it." Roskoff has held vigils outside the Governor's home, and said Cuomo's program has left him "cautiously optimistic," but added that he continues to monitor the progress. "We aren't going away," he said. "We're going to make this issue a cutting edge issue that will determine his future in New York State. If he doesn't bring New York in line with ending mass incarceration and doesn't set a firm example for the rest of the country this will hang over him for a long time."